The internet is full of hand-wavy advice. Not even bad advice, necessarily, but vague. The kind of advice that makes perfect sense in the moment, that makes you FEEL good, but then when you sit down to actually try it yourself… *Pffft! * Nothing comes out. How do you actually do it? You don’t know. They didn’t say. What happens if your great idea turns out to be a dud? Pivot? To what? What happens if you can’t come up with blog post topics your audience cares about? Keep trying til something sticks? How do you even know where to start? What happens if you can’t imagine your “ideal customer”? What if you get stuck staring at the blank spaces on your “avatar” sheet? What if you’re wrong about what they think and want? The more you try to implement it, the more you realize just how much “advice” is USELESSLY vague. 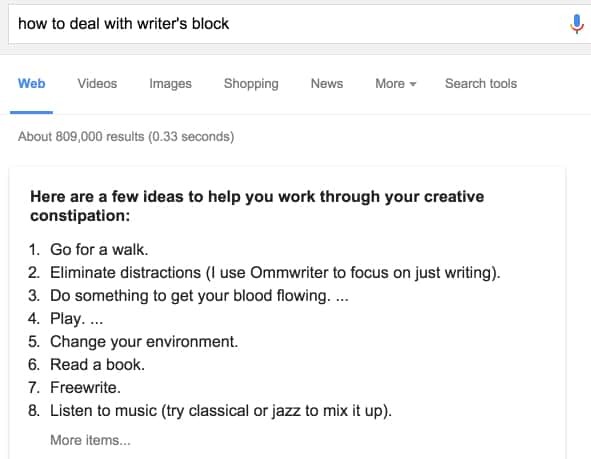 Even seemingly straightforward instructions like “write one blog post per week to build your audience” sound good… unless you aren’t sure what the heck to write about, or how to figure it out. Should you just keep writing about topics until something sticks? What happens when one topic finally takes off…will you know how to replicate that success? Advice that makes you FEEL good is the worst, sneakiest kind of advice because while you get a hit of those chemicals in your brain that say “nice job!” — you’re left with that hangover-like feeling of stuckness because you haven’t done anything yet. Even if none of it is BAD advice, do you see how vague it is? And in our class 30x500 Academy, specificity is the name of the game. As far as we’ve been able to find, we’re the only business class that gives you each and every concrete step along the way. You still have to put in the work, of course, but we’ve erased every bit of hand-wavy advice in favor of actionable, process-oriented awesomeness. We’re giving you an entire video lesson directly from the new 30x500 Academy. Free! 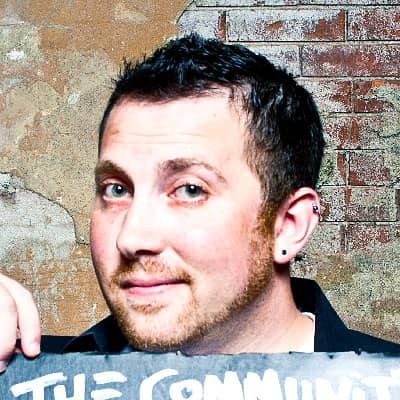 This lesson will help you learn to create the very simplest kind of Ebomb - an Ebomb that literally anybody reading this site is capable of creating. And this 11 minute video should give you a taste of how we use examples, processes and systems throughout the class. This is also just one of DOZENS of videos that build on each other. 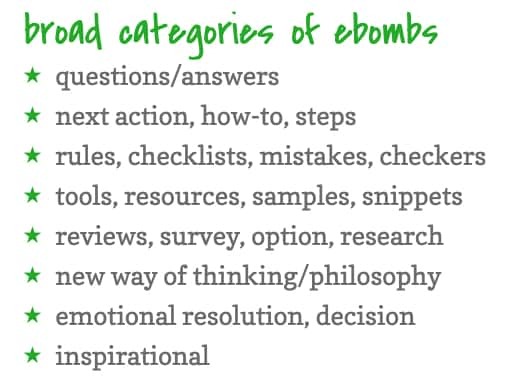 30x500 Academy also includes specific instructions on how to come up with endless Ebomb topics, Ebomb formats, Ebomb sharing strategy, and more.